When it comes to the source of protein, egg always tops the list. It provides necessary nourishment to the body, however people often cut down intake of the egg once detected with high cholesterol issue. You should actually stress more on eggs because egg whites are free from cholesterol. Yes, it is true1 egg whites contain zero saturated fat. So, you can eat eggs to increase your protein intake without any risk of consumption of unhealthy fat. A single egg white consists of 17 calories, so you should definitely have it in your breakfast. Most of the protein content in the egg is present in its white part. Even if you discard the yolks you still can have plenty of muscle building protein for your body. The egg whites are also rich in amino acids which help your body to function properly. The only thing you have to keep in mind while cooking egg white recipe is ‘not to add salt’ to it. The sodium content of egg white is quite high, almost 55 mg of sodium is present in egg white. So, while cooking egg white add some natural herbs and avoid sprinkling salt on it. 1. Egg whites contain decent amounts of B vitamins. The medical science has proven the importance of vitamin B for our body. It is essential for the conversion of food into energy. Thus, having egg white helps you to perform all the physical and mental tasks by providing the required energy. It provides sufficient amount of vitamin B which is required for the healthy functioning of nerves and brain. 2. They help build and maintain muscles. Protein shakes are quite expensive and not everyone can afford it. Don’t worry the egg whites are known to be ‘complete protein’ required for muscle building. It also provides amino acids to our body which enhance the process of building bigger and stronger muscles. 3. Consuming them speeds up the metabolism. 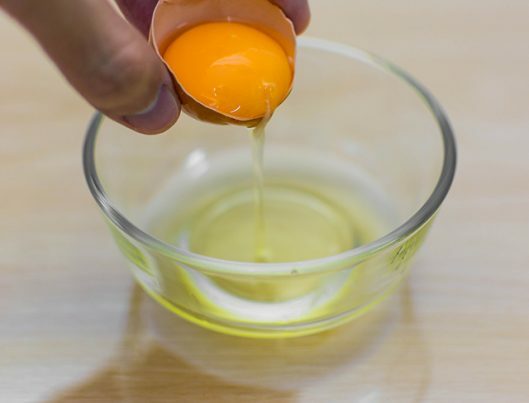 Yes, egg white improves your body metabolism and makes it faster. It maintains the healthy digestive system, provides speedy metabolism and thus supports the weight loss process. 4. Egg whites are low in calories and have no saturated fat. Egg whites are healthy food which you can include in your weight loss diet. It has low calories and it is free from saturated fat. It will provide you nourishment in the form of protein to carry out the weight loss process more efficiently. 5. Adding them to your diet may help lower blood pressure. The wonderful egg whites are a rich source of potassium. This mineral is useful to relax the blood vessels and thus help to bring down the blood pressure. It also helps to keep the blood vessels healthy due to the high content of protein in it. 6. They promote stronger teeth and bones. You can get the calcium from egg whites which will strengthen your bones. It reduces the risk of osteoporosis and keeps teeth strong. 7. Eating them supplies your body with an array of nutrients. You will get a lot of nutrients from egg white. It provides the essential minerals like phosphorous, magnesium, iron, zinc, copper, selenium, manganese, and folate to your body. So, these are the health benefits of egg whites and after reading this you must rush to the nearby store to buy eggs! Having egg whites in the breakfast will make remarkable changes in your health and you will not have to worry about harmful diseases anymore. Share with us your favorite egg white recipe and share this useful information with your loved ones on social media.